We are a renowned Manufacturer, Wholesaler, and Exporter of a broad assortment of quality products such as Automatic Carton Pasting Machines, Strip Gumming Machine, Envelope Pasting Machines, Window Patching Machine, etc. 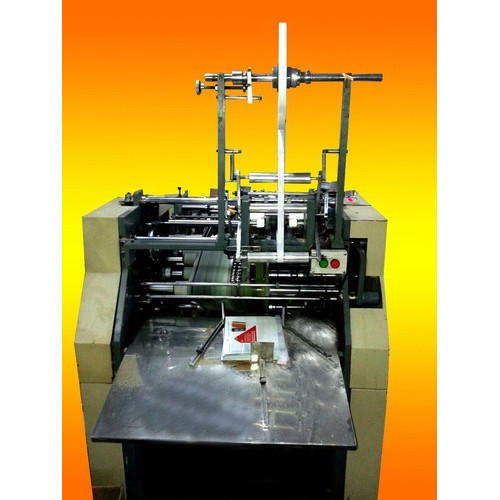 We are engaged in manufacturing, wholesaling and exporting a wide assortment of Carton Pasting Machines, Strip Gumming Machine, Envelope Pasting Machines, Window Patching Machine, etc. Made using high-grade material and sophisticated manufacturing techniques, these machines find application in diverse industrial segments. Due to high strength, reliable performance and enhanced durability, our machines have been widely appreciated by the clients.